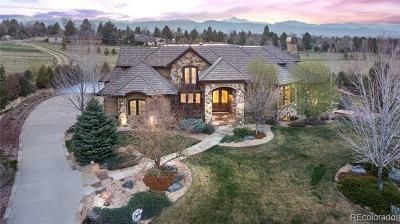 Mountain Contemporary with great views of Mt Evans and extensive mountain ranges in South Evergreen. Large Kitchen with island and hardwood floors. Open floor plan with dining space and living room with gas fireplace. Master suite with 5 piece master bath and great views. 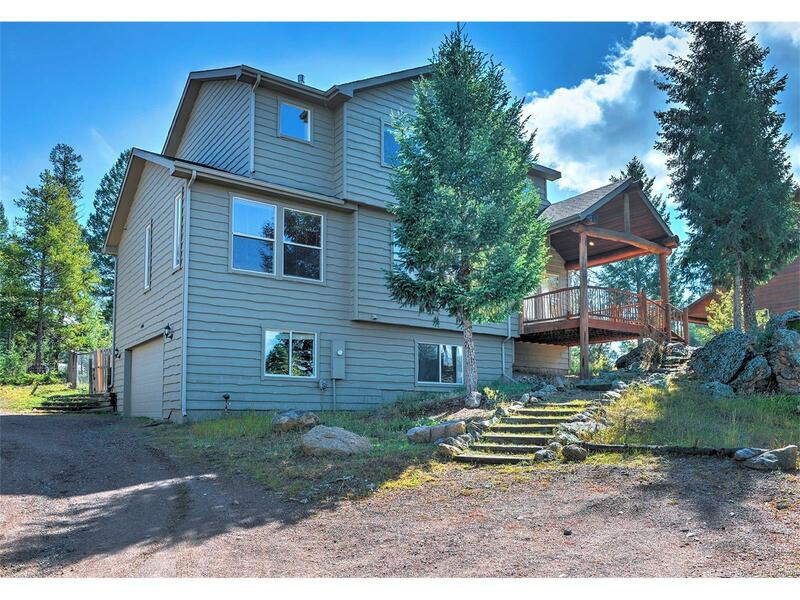 Upstairs features 3 bedrooms, full bath, and laundry room. Six panel doors, freshly painted, log accents, new carpet, and the list goes on. Partially finished basement for some sweat equity. Sit out on the covered deck to enjoy those views. Easy commute thru Evergreen or Conifer. Septic System is a 3 bedroom designed for six people. DO NOT FOLLOW GPS. Hwy 73 to Cragmont to left on Berry Bush to left on Grayhawk to Lynx Lair.